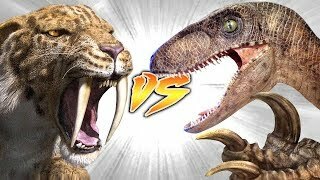 What If A Saber-Toothed Tiger Fought A Terror Bird? Two huge rivals face off in the ultimate battle. Who will be victorious? 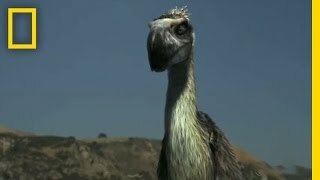 The Saber-Toothed Tiger or the Terror Bird? 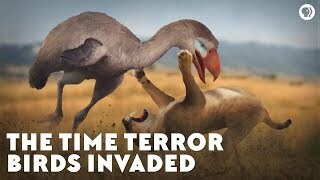 What If Terror Birds Didn't Go Extinct? 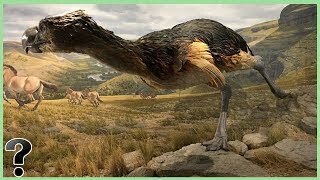 Request: what if the terror bird fought the gigantopificus? What if Megaloceros didn't go extinct? terror bird I find them fascinating. 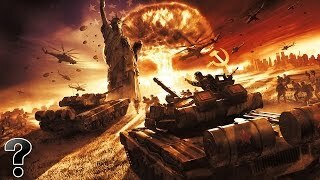 Nice video! May I request for "what happens when you cross bred a turkey with an ostrich"? They were called Saber-Toothed Cats, they weren't even part of the modern Felidae family, just distant cousins, not Tigers at all. 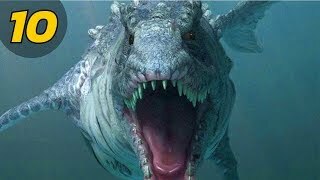 Saber tooths: Besides, Sabertooths hunted in packes to. "King of the land vs Queen of the skies"
Smiladons ran in packs as well. They were not solitary animals. There is tons of proof in the L.A tar pits. Sabortooth cats were very much a social species. Usually with fights between carnivores, the heavier carnivore wins. Biggest saber tooth, Smilodon, not only had a weight advantage but the other advantage they had was that they were a feline. Felines have an advantage in combat against most carnivores and it is that they have 5 weapons at their disposal [4 limbs and bite]. 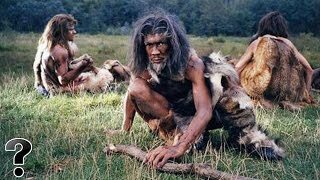 Most carnivores only have 1 weapon, their bite [like canine], or 3 weapons [bite and 2 limbs], like bird of prey, or bears. Felines in the wild, like mountain lions, tend to hunt lone wolves their size, and are able to do this because they use 4 limbs in combat, not just their bite. Wolves are out gunned. 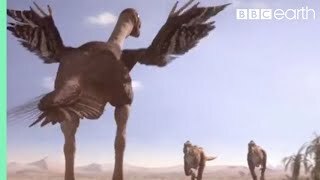 The only other predator group that i can recall that used 4 limbs and a bite in combat were the once mighty troodon. Case in point, smilodon was heavier thus stronger than any terror bird species, it would win. Some species of sabertooths are also thought to have hunted in packs. 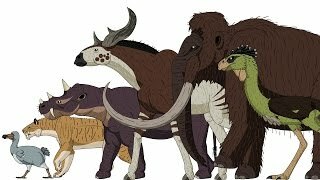 The sabertooths hunting strategy was more like a wrestler, they hunted big prey animals , like bison and mammoth, and where able to drag the bison to the ground to deliver a killing blow. The terror bird, like all other birds, had hollow bones. This would be that the sheer strength of a sabertooth would crush and mortal wound the bird. The only way the bird would be able to counter would be to use their superior height and leg length to deliver distant kicks or peak down with their beaks and deliver a few quick, powerful hits to the cats head. 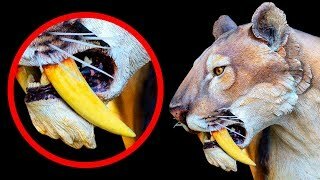 But if the sabertooth was close enough for the bird to do this then all the cat would have to is lunch past the beak and tackle the bird. At that point the bird might be broken and all the cat would have to do it deliver a fatal stab with its canines to a vital part of the bird, like the throat. Miss conception, it was not the saber tooth tiger who met up with the terror birds but rather their smaller ancestor, the smilodon. What if no one came to America and was left to the natives? 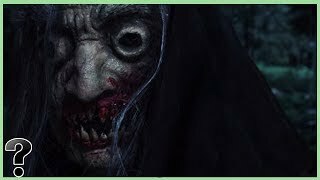 What If Baba Yaga Was Real? 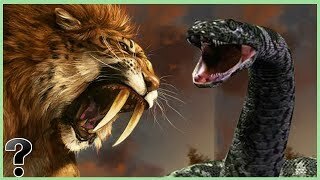 What If A Saber-Toothed Tiger Fought A Titaniboa Snake?